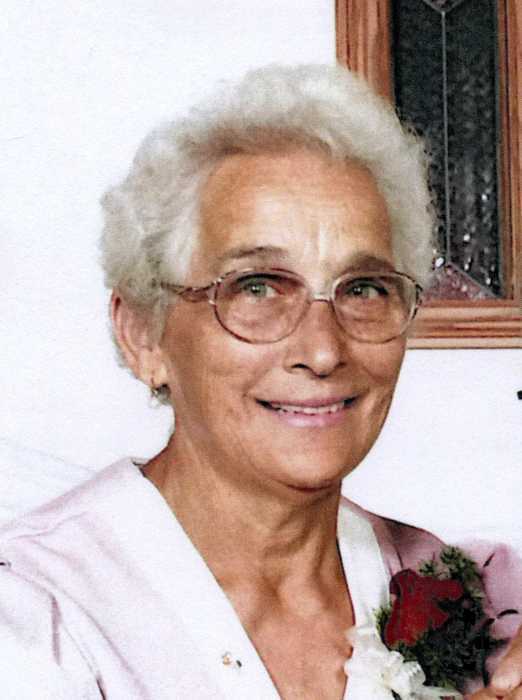 RHODA MARIE McNAB, age 79, of Brewster, died Saturday, September 1, 2018, at her home. She was born May 14, 1939, in Sheldon, IA, to Tony and Opal (Weekley) Huisman. Rhoda attended school in Sheldon, IA until her junior year. She graduated from Worthington High School in 1957. Rhoda married Dennis McNab on August 18, 1956, at the First Baptist Church in Worthington. The couple farmed east of Worthington. She was an active member of the Worthington Christian Church in Worthington. Rhoda is survived by her four children, Gene (Judy) McNab, Sioux Falls, SD; Kelly McNab, Brewster; Lori (Les) Long, Indianola, IA; and Ann (Marvin) McKinney, Howard, SD; twelve grandchildren; fourteen great-grandchildren; two brothers, Jamie (Honalore) Huisman, Rock Island, IL; and Kenny Huisman, Mt. Pleasant, SC; and two sisters, Zora Penning, Papillion, NE; and Connie (Bob) Adams, Spencer, IA. She was preceded in death by her parents; husband, Dennis on December 13, 2016; an infant son, Kirby; three great-grandchildren; two brothers, Marvin and Donald Huisman; and a sister, Beatrice Carvour. A time of fellowship will be from noon to 1 pm Thursday at the Worthington Christian Church. A memorial service will be 1 pm Thursday at the Worthington Christian Church officiated by Pastor Doug White. Burial of cremains will be at a later date.